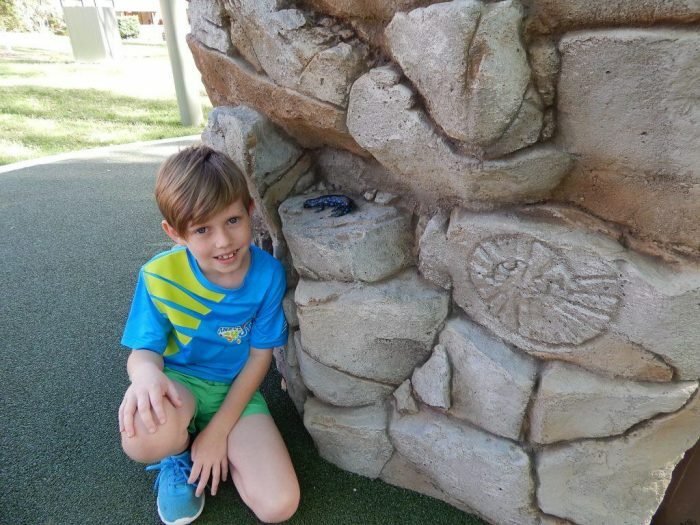 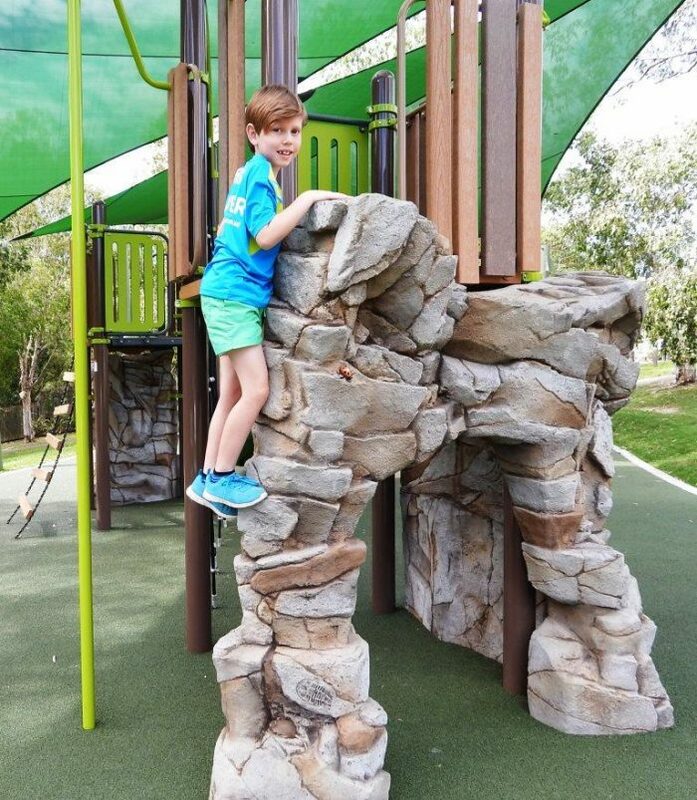 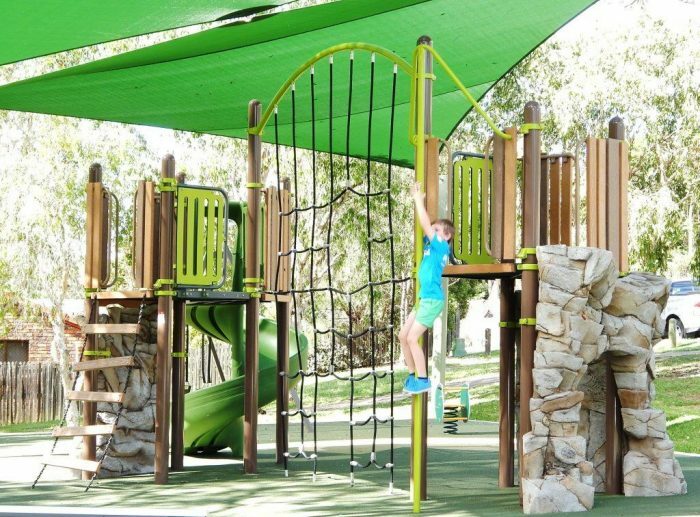 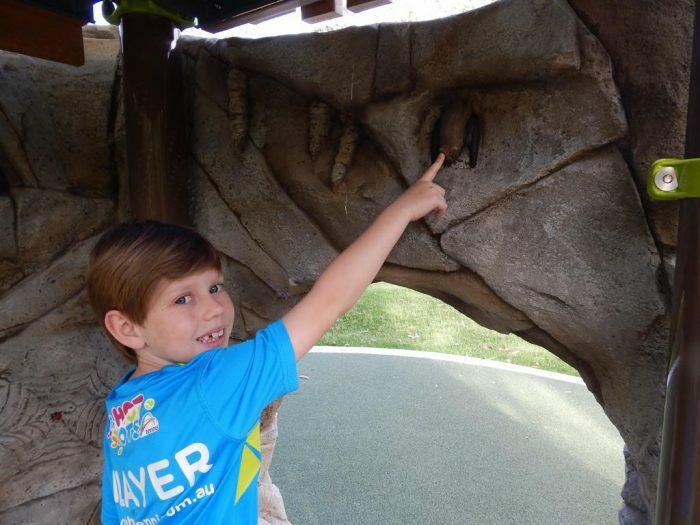 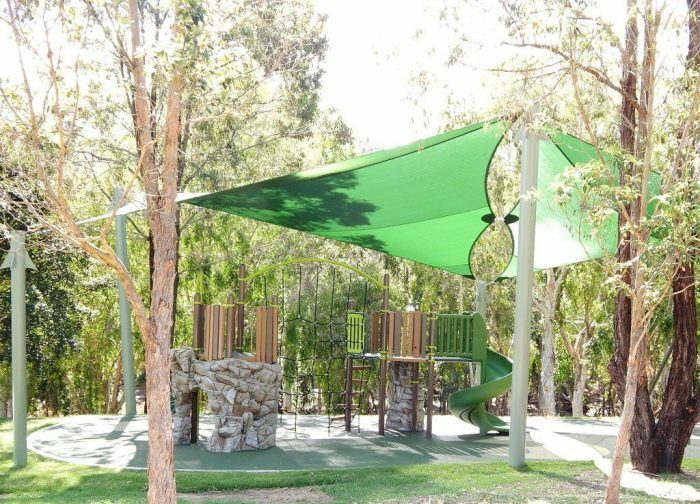 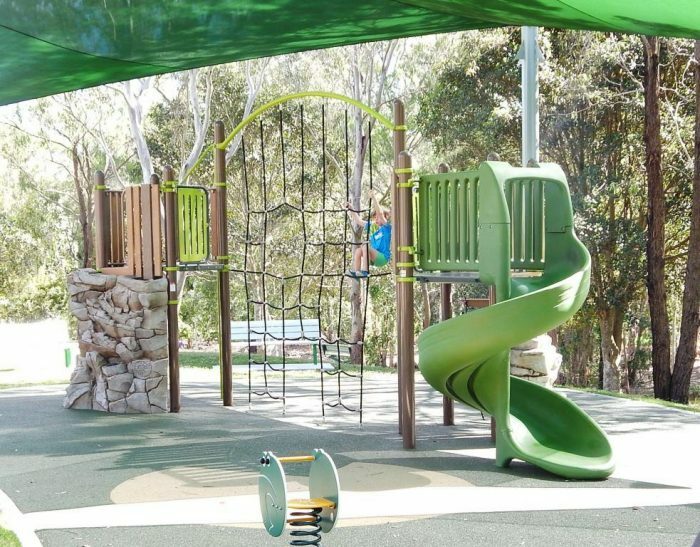 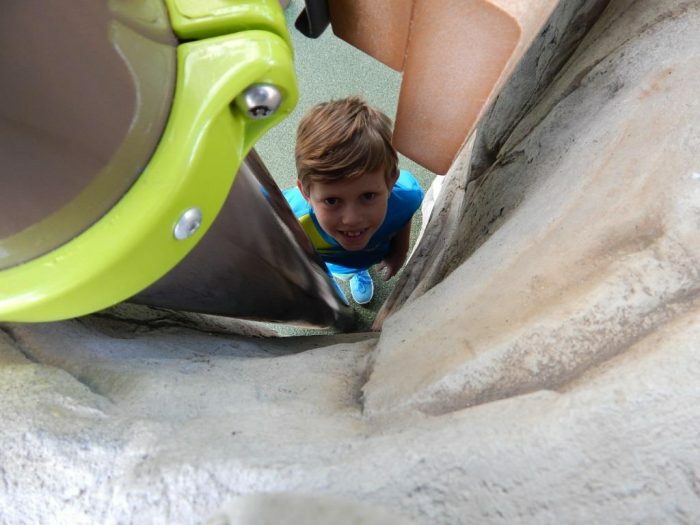 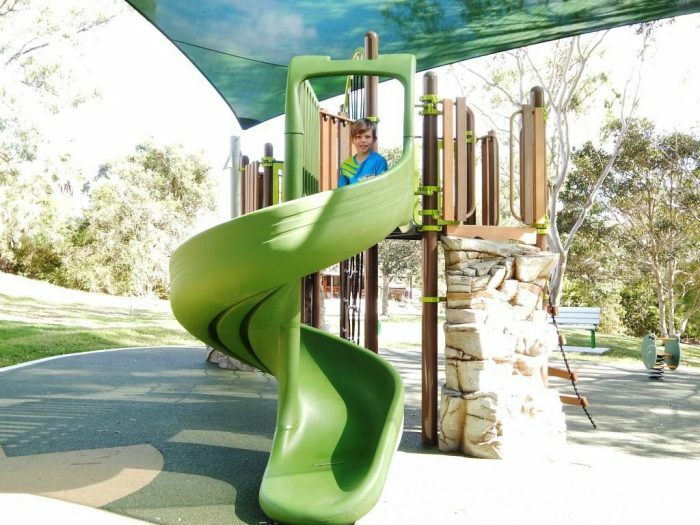 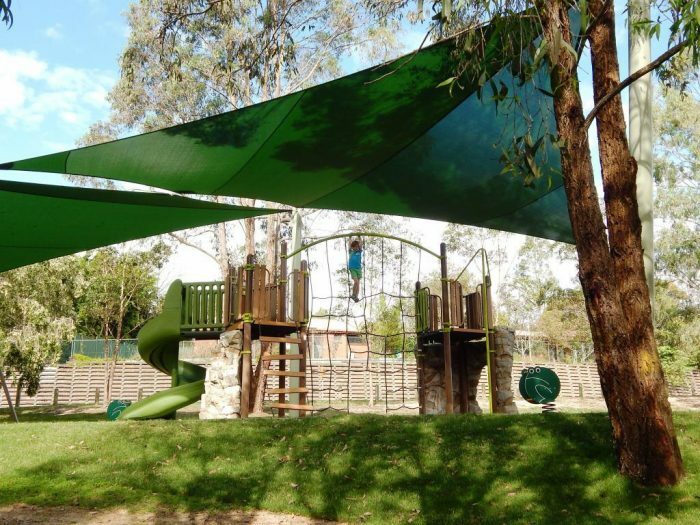 Innovators in the Nature Play movement, Logan City Council are committed to seeing children swap screen time for green time, and with the first Canyon Climber installed in Australia, have created a high quality playspace that blends in to its natural environment perfectly. 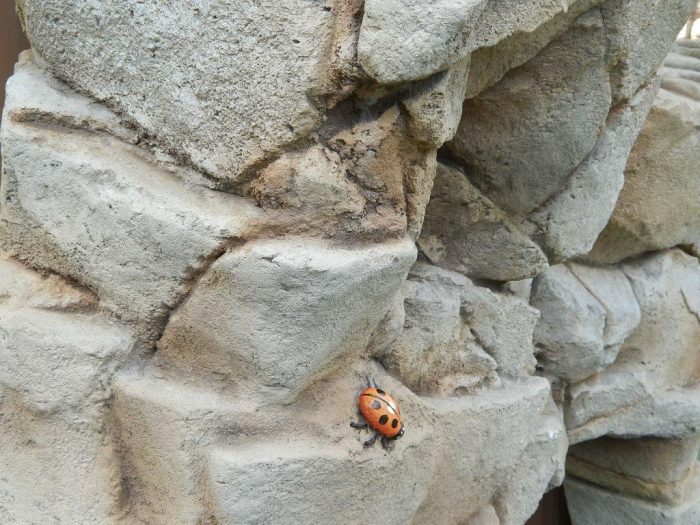 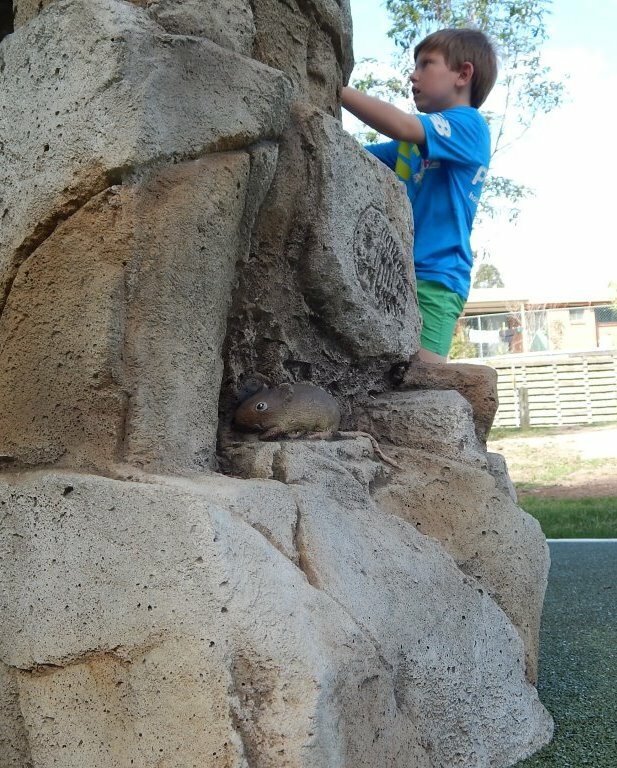 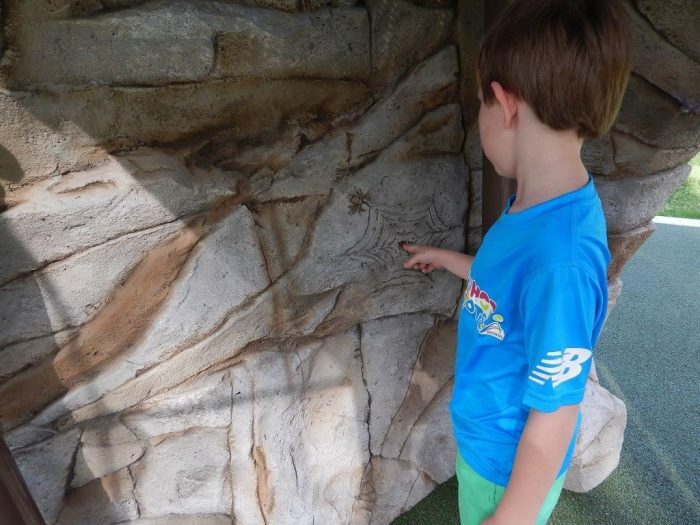 Moulded from real rocks, these glass fibre reinforced concrete climbers have an incredibly realistic surface texture with plenty of surprise lifelike discoveries – fossils, mice, frogs and beetles, and in the caves, bats and insects. 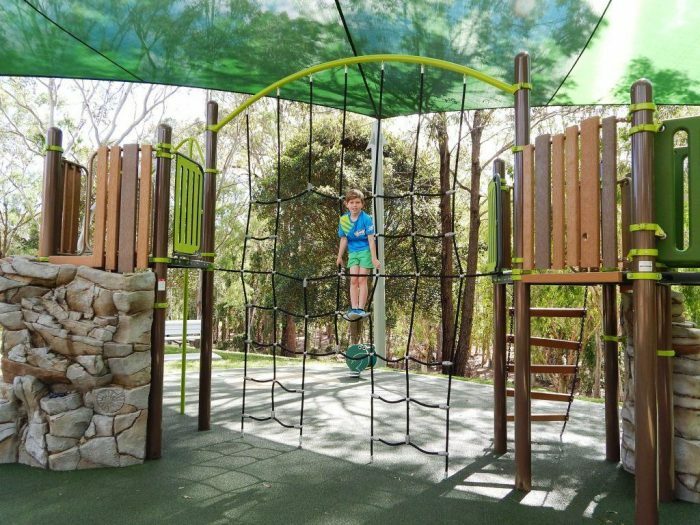 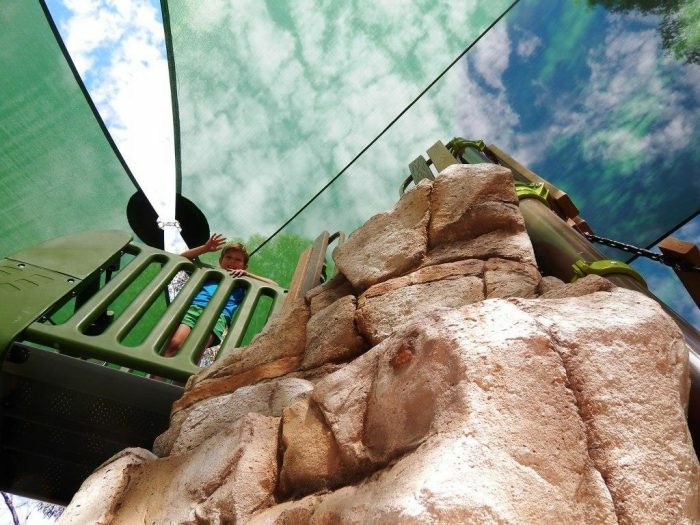 Kids can practice their mountaineering skills and achieve new heights with their friends on this less conventional play structure – designed with endless opportunities for continuous play. 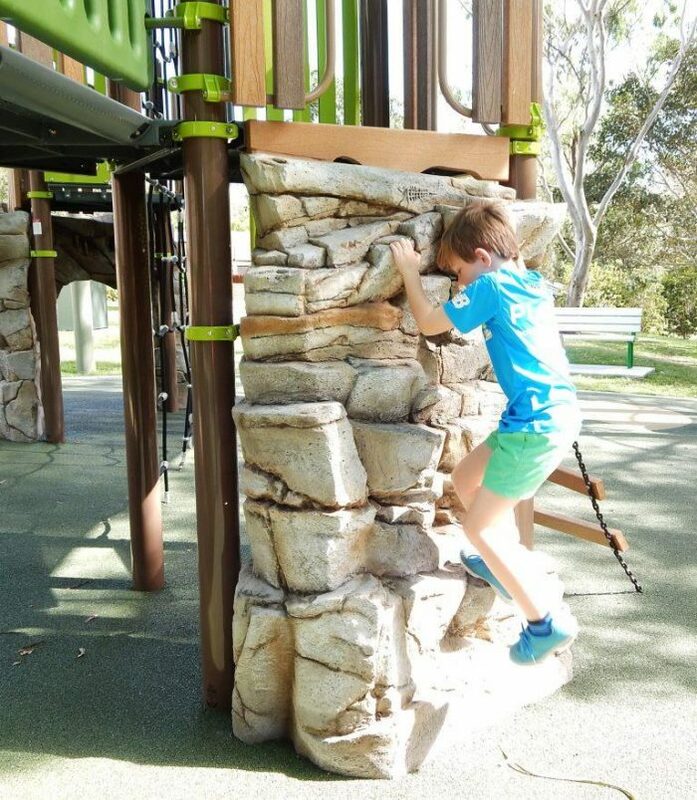 Not only can children climb the outsides, but the rock insides have climbing holds as well, and combined with ladders and the net structure, upper body strength and coordination receive a solid workout. 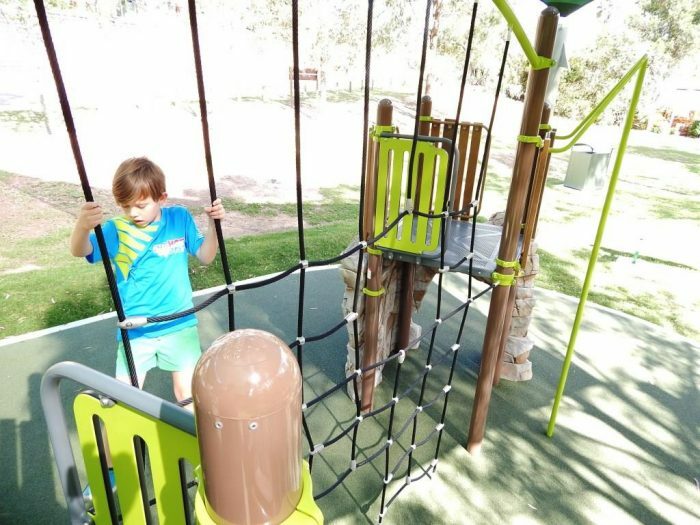 We look forward to seeing many more of these great systems (fully configurable and modular) adding nature inspired play to local parks and recreational spaces.